Throughout the United States, thousands of people have been sent to prison for merely possessing controlled substances without proper authorization. Harsh mandatory minimum sentences are imposed as a portion of the sentence for anyone convicted. This is all part of the War on Drugs which many argue has been a failed attempt at reducing drug use and addiction, hurting rather than healing our communities. Despite this, Florida still retains strict drug laws. For some charges, you may be subject to both federal and state laws governing the movement of illicit substances. Many associate “illicit substance” with drugs like heroin, crack, cocaine, meth, and other common substances in Palm Beach County; yet prescription drugs can also lead to severe consequences if you are not legally authorized to use, sell, distribute or transport them. The state of Florida and the United States federal government both enforce controlled substances laws. Nearly all controlled substances are classified the same way under Florida Statute 893.03 and the federal Title 21 U.S.C. Controlled Substances Act. Federal law supercedes state law, but the majority of drug charges we see are state drug charges. However, any drug charges carry the potential to become federal charges as drug crimes are both state and federal crimes. Drug charges are typically incurred after you are arrested by local law enforcement officials, whether by your local police department, a county sheriff deputy, or Florida Highway Patrol state troopers. State drug charges are heard in Palm Beach County Criminal Court. Federal drug laws are enforced by federal agencies such as the DEA, FBI, and TSA. An example of when you could face federal charges for a drug crime is in the event that you are caught with illegal substances at the airport or another government facility. If you send packages in the mail containing controlled substances, you may also face federal drug charges. Federal and state laws closely reflect each other on what activity is prohibited. A surefire way of receiving federal drug charges is when a federal officer makes the arrest. Such officers are generally keen on pursuing trafficking crimes, such as the manufacturing, sale, and transportation of large quantities of drugs. If you face federal charges for any of these offenses, you face possible penalties that are much more serious than for state offenses. Fines can reach millions of dollars and mandatory minimum prison terms in a federal prison can be included in your sentence if convicted. Do not hesitate to speak with a criminal defense attorney handling federal drug charges at this time. There are dozens upon dozens of chemical substances that are illegal to possess, distribute, sell, transport, or produce without valid authorization. The substances deemed the most dangerous by the government can be found in Schedule I, while the least dangerous are grouped in Schedule V. Both Florida and the U.S. federal government employ schedules to group together substances based on their potential for abuse and their accepted medical use. Schedule I substances include marijuana, heroin, and ecstasy. These are not considered to contain any accepted medical use in the United States. According to the law, these all have the highest potential for abuse. Marijuana seems like an anomaly here considering that medicinal marijuana has been approved in the state. All other drugs in all other schedules have some level of accepted medical use. Valid authorization for these drugs could include a valid prescription. For more information, review the breakdown of controlled substances here. Federal drug charges, no matter if they are nonviolent in nature, are among the most serious in the country. You are strongly advised against facing these charges alone, or with sub-par representation. At this time, it is imperative that you seek the aid of a drug crime attorney who handles federal charges, and has several years of experience doing just that. 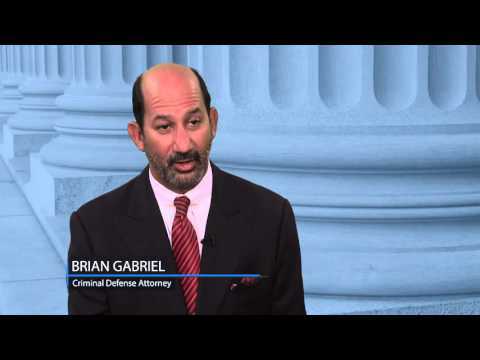 For over 25 years, attorney Brian Gabriel has dedicated his career to defending those who are criminally accused throughout the state of Florida. He is well-respected among peers and judges in Palm Beach County. 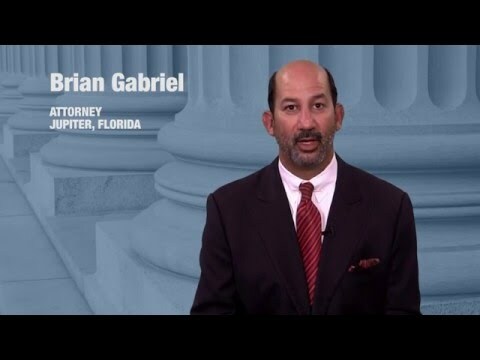 He will provide you with a free legal consultation if you call 561-622-5575 or contact The Law Office of Gabriel & Gabriel. 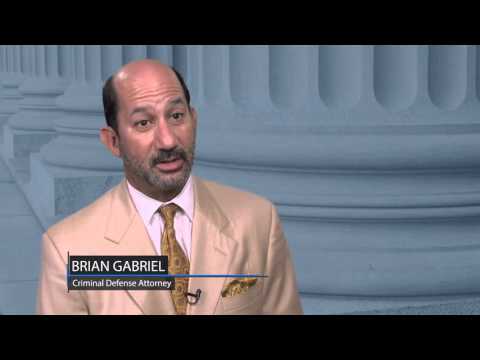 For the best possible outcome, rely on a dedicated attorney like Mr. Gabriel for your defense.